Our Veterinarians are part of a dedicated and knowledgeable team that includes our Veterinary Technicians, Assistants and Receptionists. Together they bring generations worth of combined experience in veterinary care. “Animals have always been a part of my family. Love of animals and my absolute fascination with biology and medicine led me to fulfil my childhood dream of becoming a veterinarian. As a scientist I love the challenge of using exam findings, advanced diagnostics and listening carefully to owners to determine what may be ailing a pet and what we can do to help. I enjoy educating owners and helping them be an integral part of their pet’s care taking team. 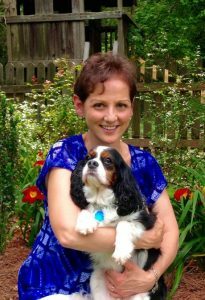 Dr. Christine Morlino received her undergraduate degree from the University of Virginia in 1993 and her veterinary degree from the VA-MD Regional College of Veterinary Medicine in 1997. Originally from Williamsburg, she has lived and practiced in the Richmond area for the last 20 years. Her special interests include geriatric medicine, dentistry, exotic animals and client education. 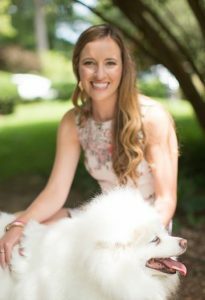 As the owner of Short Pump Animal Hospital, she is particularly proud of the family atmosphere and pleased to be an integral part of the local community. Dr. Morlino and her husband, Joe, have three children, 2 dogs (Jodi and Molly), several goats and sheep and a Sicilian donkey named Giovanni. During her time off she enjoys hiking, traveling, spending time with friends and family and volunteering at her church and in the community. “I decided to become a veterinarian because of my passion for animals and a strong interest in science. As a practicing veterinarian I love having the opportunity to educate people and to give them more confidence in caring for their pets. I find it especially rewarding to see animals feel better after successful treatment and to help people through the stressful times they may experience with their beloved pets. Dr. Reger is a graduate of the College of William and Mary with a bachelor of science in biology and Ross University School of Veterinary Medicine with Highest Honors. Her clinical year was spent at Louisiana State University. Dr. Reger has been working in the greater Richmond area for the past three and a half years. Her special interests include improving the human-animal bond, internal medicine, and soft tissue surgery. Dr. Reger was born in Virginia and grew up in Norfolk and Hanover. She enjoys traveling, spending time outside and enjoying free time with her husband and her pets, a cat named Paddington and a dog named Kanga.